We Got It from Here... 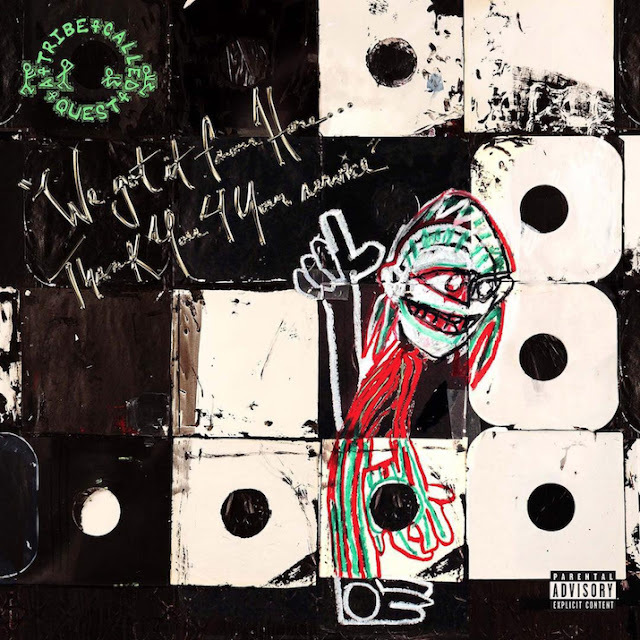 Thank You 4 Your Service este cel de-al 6-lea și ultimul album al trupei A Tribe Called Quest și a fost lansat în data de 11 noiembrie 2016, prin Epic & SME. All tracks were produced by Q-Tip and co-produced by Blair Wells. "We the People...." contains a sample of "Behind the Wall of Sleep" by Black Sabbath. "Whateva Will Be" contains samples of "Promised Land" by Nairobi Sisters. "Dis Generation" contains samples of "Pass the Dutchie" by Musical Youth, "Halleluhwah" by Can and "Ruido de magia" by Invisible. "Mobius" contains a portion of the composition "Prologue" by Gentle Giant, written by Kerry Minnear, Derek Shulman, Phillip Shulman and Raymond Shulman. "Lost Somebody" contains a sample of "Halleluhwah" by Can.